Race kits include bib, singlet, post-race breakfast. All race kits will be distributed on April 29, 1pm-7pm, at Guilly’s Boracay. PLUS! Enjoy a 3day-2night SKYATHON package from April 29-May 1, inclusive of roundtrip airfare via Seair, airport transfers and accommodations. Your choice of hotel includes Alta Vista, Ambassador in Paradise, Boracay Mandarin, Boracay Regency Lagoon, Cool Waves, Paradise Garden, and La Carmela de Boracay. Limited slots only. 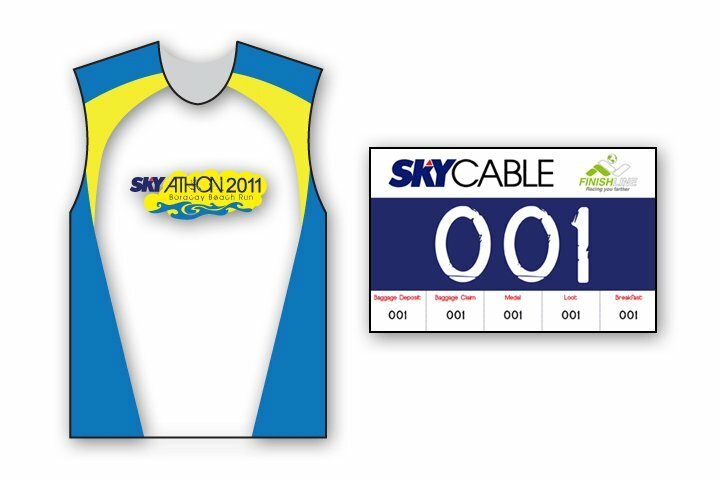 1 comments on "SKYATHON 2011 – Singlet and Bib Design"